Because your inbox is probably as insane as mine this morning, I thought we could all use a cheat sheet. And so, your Great Big List of all of the Memorial Day sales worth mentioning is right here, but I’m starting it off with my faves – aka, the ones I’ll actually be shopping and which you might not have heard about yet. 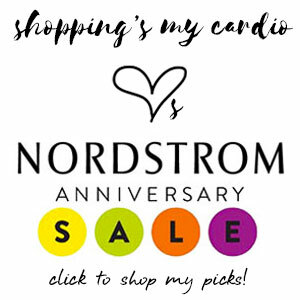 Nordstrom Half-Yearly Sale: True, it’s no Anniversary Sale. But there are still some serious 40% off steals that are worthy of consideration. Exhibit A: this Vince silk maxi, which I’ve had my eye on for months. 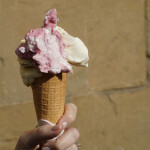 Wouldn’t it be lovely at a casual summer wedding? Bloomingdale’s: I’ll almost never say this, but I think the Bloomingdale’s sale is better than the Nordstrom sale this weekend. Take 20% – 70% off a whole slew of goodies, plus get an extra 20% off w/code SPRING20. Oh, and score a $50 gift card for every $200 you spend. Excellent excuse to refresh your denim situation, I think. Alberto Fermani: I’m such a fan of this under-the-radar shoe designer, and his pieces almost never go on sale, so 40% off sitewide is BIG news. You could nab a new pair of sandals for the summer, but if it were me (which it probably will be), I’d treat myself to a luxe pair of ankle boots. Barneys Warehouse: This is like a sale on top of a sale – everything’s already marked down from the original retail, but you get to take an additional 40% – 50% off sitewide this weekend. Deals abound, but I’m a particularly big fan of this little Proenza haircalf number. 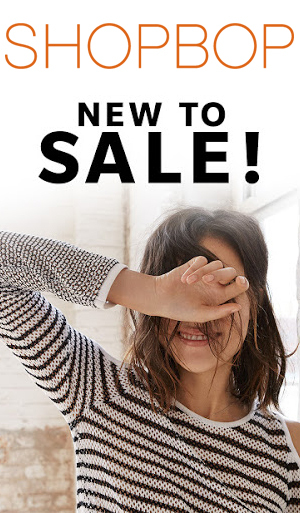 The Outnet: More sale-on-sale action – an extra 30-50% off the lowest-marked price, to be specific. Can I really be expected to resist an additional 50% off an already-reduced-by-50% price on the most perfect ladylike incarnation of a biker jacket in history? Or the most perfect cashmere travel cardigan for under $100? Not. Likely. Anya Hindmarch: Just about everything from the spring collection is marked down 40%, including my adorable little Maxi Zip, which I absolutely could not love more. Serena & Lily: Sitewide deals don’t come around often at S&L, but take 20% off sitewide this weekend. Use code ALLOUT to nab, say, a more attractive place to store all of those flip-flops collecting by your front door. Grayling Jewelry: Couldn’t be a bigger fan of this line, and not just because the designer’s a dear friend. Take 25% off all of her signature convertible styles w/code TRAVEL, and take all of the effort out of packing accessories for your summer travels (I rarely leave for a weekend without this one). Anthropologie: Extra 20% off sale items w/code GONEFISHING. ASOS: 20% off sitewide w/code LONGWKND. Banana Republic: 40% off sitewide (including the new Marissa Webb-designed goodies) w/code BRSUMMER. BaubleBar: 20% off 1 item + free shipping w/code MEMORIAL20. MEMORIAL25 gets you 25% off 3 and MEMORIAL30 gets you 30% off 4 or more. Club Monaco: Additional 30% off sale items w/code MEMORIALDAY. DVF: Additional 30% off all sale items w/code SUMMER30. Equipment: Additional 20% off all sale items w/code MD2015. Gap: 40% off regular price styles (including my new favorite jeans…) w/code SUMMER. J.Crew: 30% off sitewide w/code SUMMER. Joe’s Jeans: 25% off sitewide w/code HONOR. Joie: Additional 20% off sale items w/code MD2015. Phew! Exhausted already. What will you be shopping for, friends?